Humans have for many centuries believed that, there is a connection between gemstones and crystals and humans. Centuries ago the breastplate worn by Aaron the High Priest of the Israelis, had 12 stones stitched into it. Each stone represented one of the 12 Israeli tribes. As time went by, attempts were made to link one or more gemstone to a specific gem. The first step towards the definition of birthstones came when, a gem began to be assigned to a person based on the zodiac sign under which he or she was born. Time went by and a more convenient way to assign birthstones was adopted. Changes have been made to the birthstone charts over time, we present the most followed list of birthstones here. A few quick notes about the birth stone charts, the information will be of useful to you and is also very interesting. 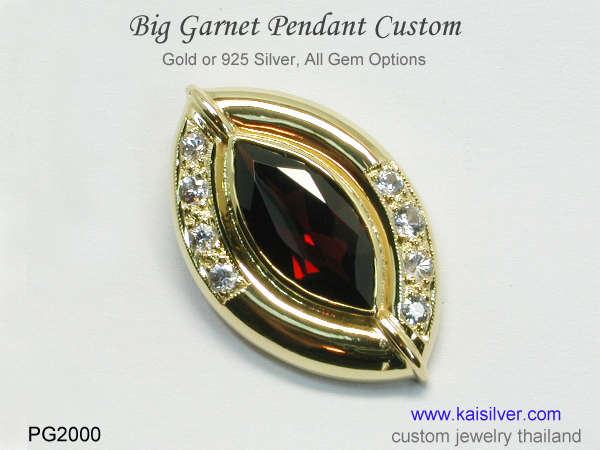 Garnet the January birthstone was once thought to be just red, we now know that the gem showcases some fine oranges, greens, raspberry red and even a brownish yellow. You obviously have that many more garnet colors to mark a January birthday. 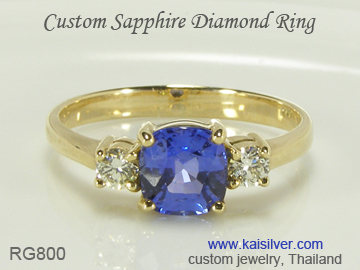 Since ancient times, sapphire was prized as the most sought after and valuable gemstones. Those were the times when, gems were identified merely by color. As expected, every blue gem was labelled as sapphire including Blue Lapis. Many people continue to interpret the September gem listed on the charts as blue sapphire. In our opinion we should take a more liberal attitude and embrace, sapphire colors that science and gemology have verified to be authentic. 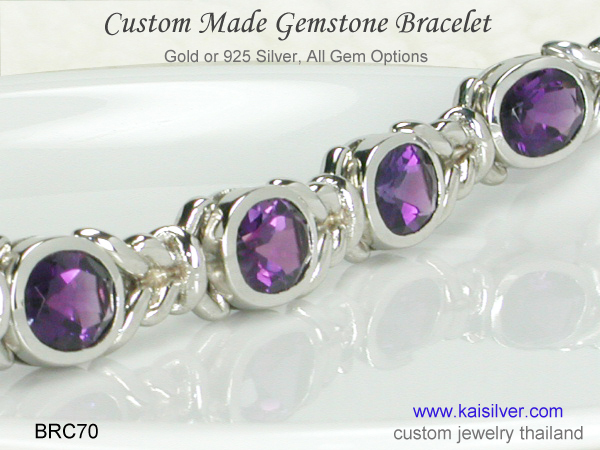 You could therefore add blue, white, pink, green, orange, yellow or even purple to your birthstone collection. Opal has long been the sole birthstone for the month of October, we then saw an interesting edit made to the birthstone charts. Tourmaline was added to the list and you suddenly had a sparkling colorful gem as an option for this month. Though it was pink tourmaline that was inducted into the charts in this case, both gem lovers and jewelers, prefer to keep the tourmaline color choice more open. Available in a rainbow of colors, tourmaline can be found in colors that include yellow, green, pink, reddish pink (rubelite), bi-color and blue. Paraiba tourmaline a very rare vibrant blue color tourmaline, is found in the Brazilian region that has the same name. 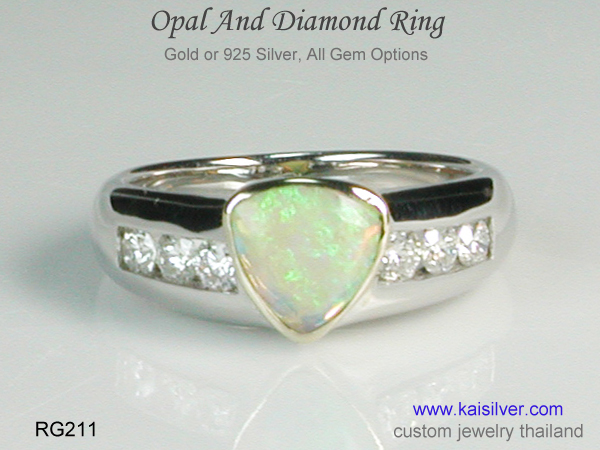 The stone is extremely rare and can be priced higher than a diamond. This report discussing the birthstone charts, would never be complete without mentioning two of the dazzling blue birthstones for the month of December. 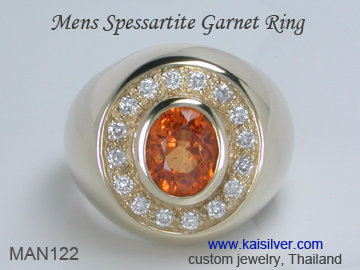 Zircon is a natural gem most popular in its white color. You might have heard that white zircon is often used as an option for diamonds, in the form of small accent stones. The amazing thing about zircon is that, it matches the king of glitter diamond in terms of fire and sparkle. Gemologists have confirmed that the dispersion reading of zircon matches that of diamond. While the term 'dispersion' might sound a bit technical, suffice it to say that, diamonds have that dazzling glitter because of their high dispersion reading. Blue is today the most sought after zircon color, it has therefore been assigned a place on the birthstone charts. Still on the topic of December birthstones, we should give credit to tanzanite a fairly young gemstone, tanzanite. The gem was obviously formed millions of years ago but, it is so very rare that humans first came into contact with tanzanite as recently as 1967. The exotic color of tanzanite, combined with its rarity and aided by the fact that it is found in just one small location on earth, caused tremendous excitement. The birth stone charts were put through another edit in the year 2002. 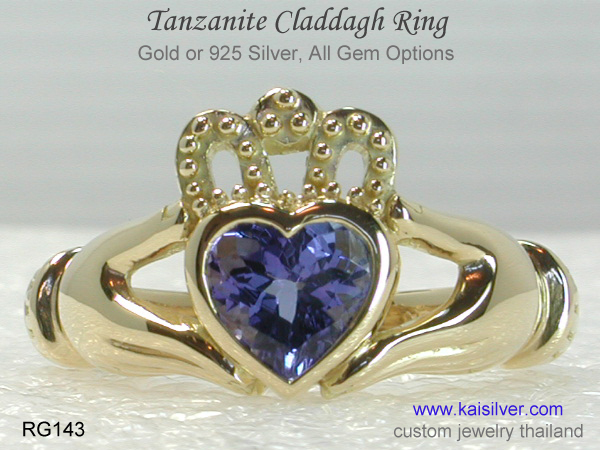 Tanzanite the violet-blue beauty joined blue zircon and turquoise as the birthstone for the month of December. 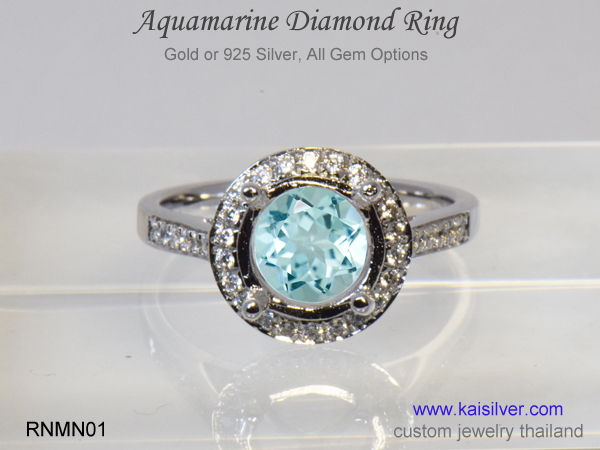 Kaisilver: Accepted as the world's leading online custom made jewelry provider, we craft jewelry in gold and 925 silver with the same quality standards. There is no limitation on design or gemstones, you could even send us your own designs to be custom made. Any jewel shown on our online resource can be modified to suit your requirements, it can be made in gold or sterling silver and encrusted with any gemstone of your choice. With preferential access to more than 200 million carats of gems across the globe, we can procure and custom cut any gem from any location on our planet for you. 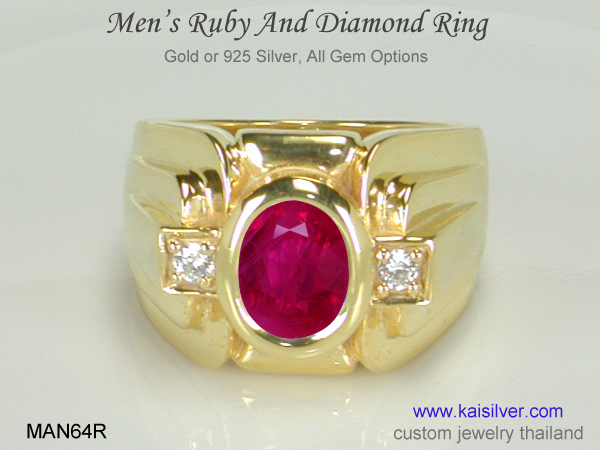 If you a requirement for a quality jewel, contact our support team at sales@kaisilver.com and we will be glad to help. Take advantage of our expertise without being under an obligation to make any purchase. The ring is absolutely beautiful, the ruby stunning. I was worried whether it would ever come, being delayed due to all the turmoil in Bangkok, but when it finally did, I was absolutely delighted. I’ve looked in many jewellery shops and haven’t seen a ruby as nice yet. Thankyou, my girlfriend, now fiancé, absolutely loved it! The communication and customer service was really excellent as well, customising the ring went very smoothly, and the price was excellent for the quality. Regards ... John Williams .... MORE.